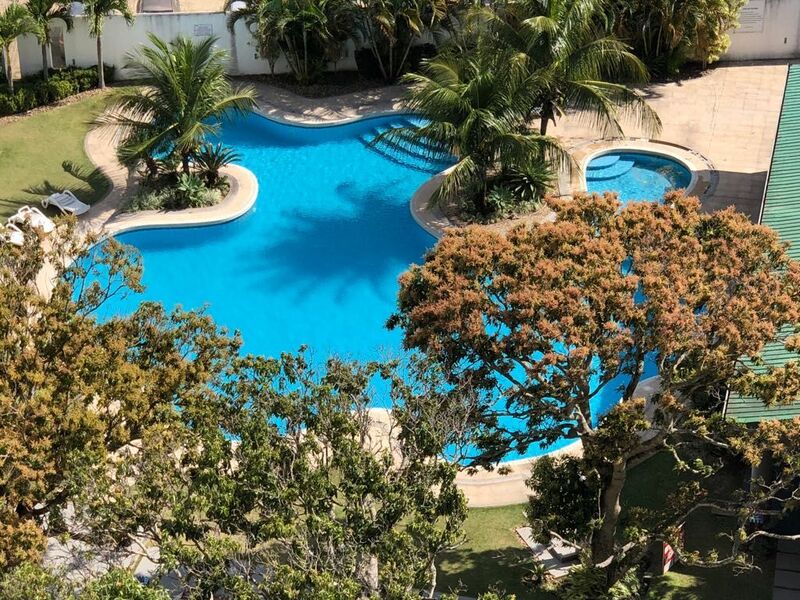 Next to Feria Expocruz a very well located, luxury (new, clean and tidy) apartment with swimming pool, garden, playground for kids. Two bedrooms, one bathroom, kitchen, living room, closets, towels. Near by we have pharmacies, grocery stores, supermarkets and a mall. Also near Pirai River if you want to take a walk. Also near to the city (5 min to downtown). If you need cook, babysitter or any help we organize it for you (extra cost) also if you need to be picked up from airport. Clean and very confortable, with a wonderful view !!! For business or vacation stay, I recommend this beautiful, confortable and clean apt !!! I have being there 3 times and I will stay at this apt. everyutime I tarvel to Santa Cruz de la Sierrta, Bolivia. The owners are a wonderful couple and very fair. Excellent apt. !!! Clean and very confortable, with a wonderful view !!! I spent 8 days in Santa Cruz on a business trip, I recommend this apt to everyone !! It is fully equiped and spacious !! !